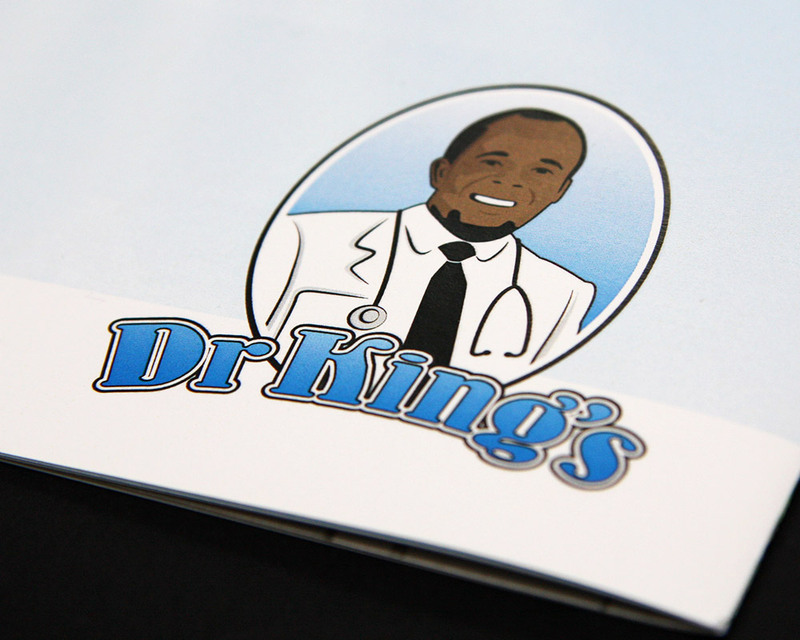 Dr King’s is a company that produces a range of foods containing healthy ingredients. I was commissioned to develop the branding, which was to pay tribute to the clients father and his medical background. Once the branding had been finalised I was then asked to develop the packaging. To kick off the project I used portrait photos and given instructions on the desired colour palette and typeface. The client wanted the new branding to resemble iconic food logos such as, Uncle Ben’s and KFC’s Colonel but becoming synonymous with its healthy appeal. I delivered a range of illustrations using different artistic styles to provide options. A finalist was then selected and developed. The challenges for this project were producing a close likeness to the relative that would compliment the typeface and convey the family friendly message. The result was a logo that was simplified and stripped back of detail whilst using the limited colour palette available. I feel like this helped reflect the values of a friendly family run business.